Saturday, February 9, 2019 from 1pm – 2pm. This event is for members of the Art Gallery of Grande Prairie. 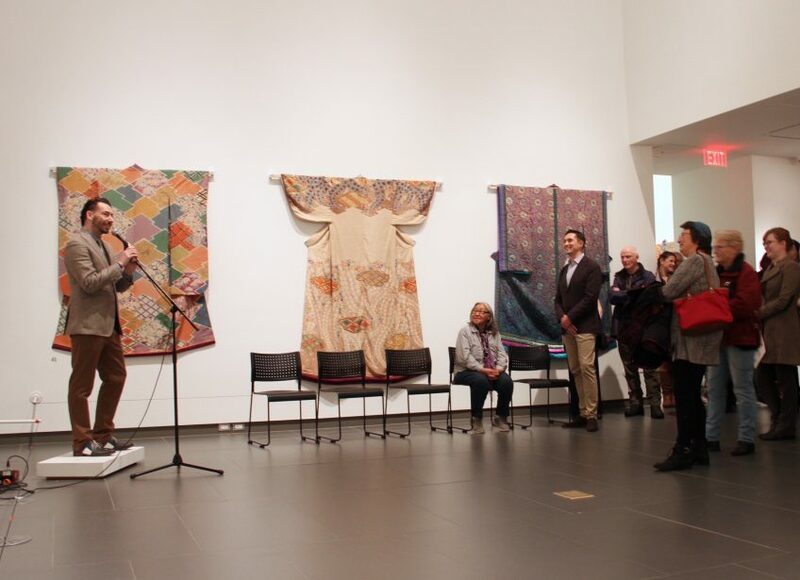 Join the Art Gallery of Grande Prairie’s Executive Director, Jeff Erbach for a guided tour of the exhibition, ‘What Do The Mountain Spirits Ponder?’ by Itchiku Kubota (2003). Memberships help us remain one of the largest Free Admission public galleries in Western Canada. By becoming a member, you can receive invitations to special member-only tours and Curator talks, receive 20% discount on Gallery catalogues, workshops and art camps, vote on issues and Board Members at the Gallery’s General Meeting and more! Through your support we can continue to ‘Enrich the community through the creation, conservation and sharing of art’.